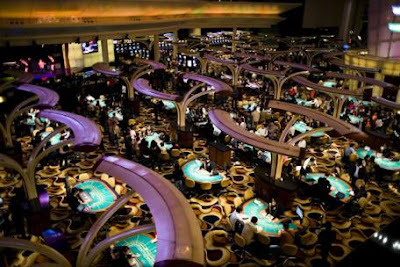 Not to be outdone by Vegas, China has established biggest gambling den in Macau. Meanwhile for the winning punters chancing their luck at Hawaiian Gardens' charity bingo hall in the heart of one of California's poorest towns, the big prize is $500. The losers walk away with little more than an assurance that their dollars are destined for a good cause. But the real winners and losers live many thousands of miles away, where the profits from the nightly ritual of numbers-calling fund what critics describe as a form of ethnic cleansing by extremist organisations. Each dollar spent on bingo by the mostly Latino residents of Hawaiian Gardens, on the outskirts of Los Angeles, helps fund Jewish settlements on Palestinian land in some of the most sensitive areas of occupied East Jerusalem, particularly the Muslim quarter of the old city, and West Bank towns such as Hebron where the Israeli military has forced Arabs out of their properties in their thousands.